One of my personal favorites. 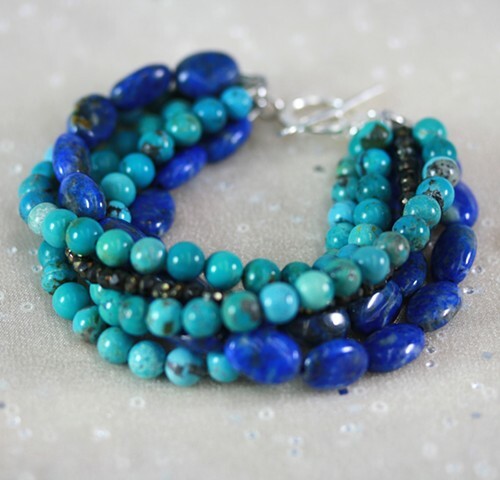 Strands of lapis (inner clarity) and turquoise (protection) with a sparkle of pyrite (mental stability) nuggets. Fine silver toggle closure. Approx 7 3/4"